Do you take getting enough rest seriously? We live in an age where being on the go, pushing through the day and working until we drop seems to be admired. But in reality, many people aren’t getting the rest and restorative sleep that they need for physical, mental and spiritual well-being. The truth is that our bodies need time to rest in order to heal and rejuvenate. Without enough rest between workouts, stress-free days and well-slept nights, our health suffers. So it helps to think of rest not as a luxury but as a vital component of your overall wellness. Renews physical energy: Not enough rest and poor sleep quality may cause feelings of low energy and fatigue. On the other hand, getting enough daily rest can improve your physical activity frequency. According to a systematic review published in Advances in Preventive Medicine, sleep and exercise exert substantial positive effects on one another. That means that getting enough sleep makes you feel more renewed and energetic, and being more energized and working out during the day improves your sleep quality. Boosts mental clarity: Lack of sleep leads to trouble concentrating at school or work. When you don’t allow your body to reboot and rejuvenate, you’ll notice that it’s harder to learn, remember information, make decisions, focus, be creative and meet deadlines. Too little rest has a major impact on your daily cognitive performance. Plus, it decreases your desire to be social, which can spiral into other issues, like feelings of isolation and sadness. Boosts mood: Not getting enough rest can lead to poor mood, irritability, frustration and an increased risk of depression. A study published in the European Journal of Oncology Nursing found that patients with clinically significant levels of anxiety and depression reported the highest levels of sleep disturbance. And another study found that depressive symptoms among medical residents who worked the nightshift was associated with a lack of sleep. The research shows that getting enough rest every day can reduce the risk of depressive symptoms, especially among the younger population. Improves overall health: Did you know that not getting enough daily rest increases your risk for chronic diseases like hypertension, diabetes, depression and cancer? Research published in Progress in Cardiovascular Nursing shows that patients who report both an increased or reduced sleep duration are at an increased risk of all-cause mortality. People who are tired and fatigued are also more likely to stay sedentary throughout the day, which can contribute to weight gain. Plus, a lack of rest often causes increased appetite and a higher risk of overeating. This is because of cravings for sugar and processed foods, which occurs when our bodies are trying to use food to battle fatigue. Eat foods with tryptophan: Tryptophan is an amino acid that helps the brain get into a relaxed state. It works as a mood regulator, and its natural calming effects help induce sleep. Some of the best tryptophan foods that can help improve your sleep include cage-free eggs, wild-caught salmon, grass-fed beef, sesame seeds, walnuts, spirulina and 100 percent whole-grain oats. Use lavender essential oil: Lavender essential oil is well-known for its sedative properties. It has relaxing and calming effects, which is why it’s often used to help improve sleep and relieve anxiety. Studies show that applying lavender oil to the skin before sleep can improve sleep quality. Lavender oil also can be diffused in your bedroom about an hour before bedtime. Reverse your magnesium deficiency: A magnesium deficiency can cause sleep disturbances. Research shows that dietary magnesium supplementation works to increase sleep time, sleep efficiency and melatonin production. Plus, increasing magnesium intake can reduce the amount of time it takes to fall asleep. Eating magnesium-rich foods is the best way to reverse a deficiency. Some great options are spinach, pumpkin seeds and dark chocolate. You also can use a magnesium supplement in capsule or powder form. Avoid p.m. blue light: The bright screens of your phone, computer, TV and other electronics can lead to alertness because of changes in your eyes and brain. Plus, blue-light exposure can cause headaches. You are much better off reading a pleasant or inspiring book or magazine right before bed. Work out daily: At least 30 minutes of daily movement is one of the best ways to promote better sleep. It helps regulate your circadian rhythm and helps you feel calmer and sleepier at night. Try to stay consistent with your workout times so that your body can adjust to times of wakefulness and times for rest. Spend time outdoors: Spending time outdoors, in natural sunlight, helps your brain cells form your circadian rhythm, or internal 24-hour clock. The retina in your eyes transmits information to your brain depending on whether it’s dark or light. And your hormone levels change as a result of light exposure. Because your body requires a pattern of light versus dark exposure, try to get plenty of natural sunlight during the day so that your body is ready to rest and sleep well at night. 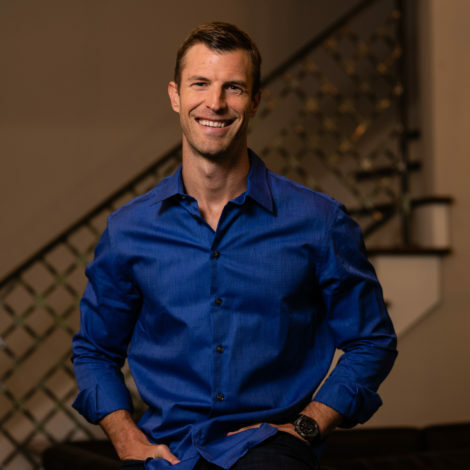 Dr. Josh Axe, DNM, DC, CNS, is a doctor of natural medicine, a clinical nutritionist and an author with a passion to help people get well using food as medicine. Author of the books “Eat Dirt: Why Leaky Gut May Be the Root Cause of Your Health Problems and 5 Surprising Steps to Cure It,” “Essential Oils: Ancient Medicine” and “Keto Diet: Your 30-Day Planto Lose Weight, Balance Hormones, Boost Brain Health, and Reverse Disease,” he also operates the No. 1 natural health website in the world at DrAxe.com, with more than 15 million unique visitors every month. He’s a co-founder of Ancient Nutrition, a health company where the mission is to restore health, strength and vitality by providing history’s healthiest whole-food nutrients to the modern world. Dr. Josh Axe is the co-founder of Ancient Nutrition and founder of DrAxe.com. He is a certified doctor of natural medicine (DNM), doctor of chiropractic (DC) and clinical nutritionist (CNS) with a passion to help people get healthy by empowering them to use nutrition to fuel their health.